There is no other way to say this but… I love Halloween! Halloween is my favorite holiday of the year. I am not sure if it is the whole dressing up and idea of being someone else or if it because it is when the the ghost come out and gloomy decor is widely accepted. 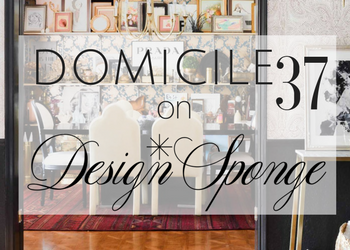 Okay, come on now…Gloomy, moody decor is everything! With moving so late in the year, I knew that this Halloween season would a quiet one for me and my family and I would not being doing much to any decorating. 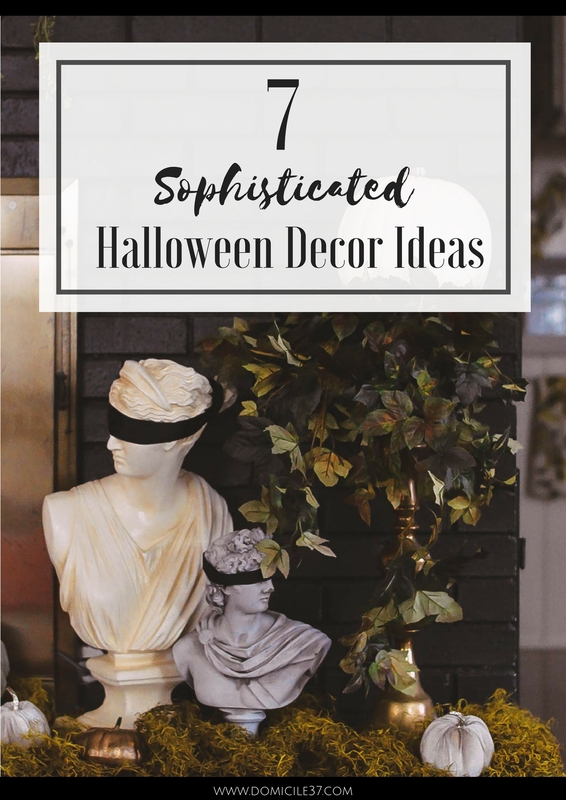 So I decided to share 7 sophisticated Halloween decorating ideas. 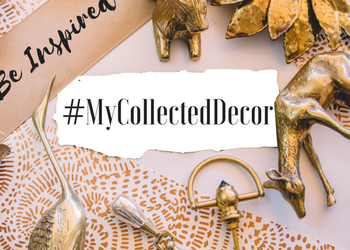 These are not your typical kitschy orange and black, plastic, let us just pick it up at the store and set it out type of ideas but very thought-out, precise, avant-garde ideas to inspire you. I am a lover of tablescapes and the stories that they tell. I love to see how one fun holiday can inspire the minds of those who love to create. Normally when I think of Halloween, my thoughts are dark and eccentric. Coco + Kelley on the other hand was inspired by the overgrown mansion of Miss Havisham in the classic Great Expectations. She used earthy colors mixed with rich colors to create a beautiful setting. 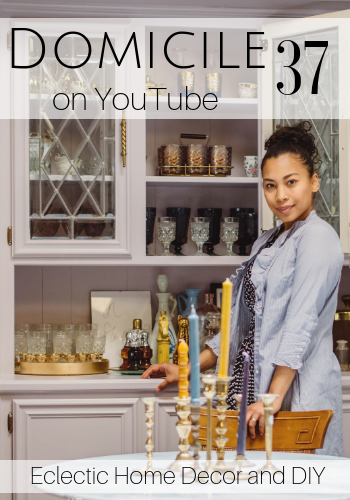 Instead of using typical Halloween decor to add some gloom and interest to your house, try using things that you can use throughout the year. This tip in particular is something living in a rental has taught me. Think outside of the box when it comes to Halloween. 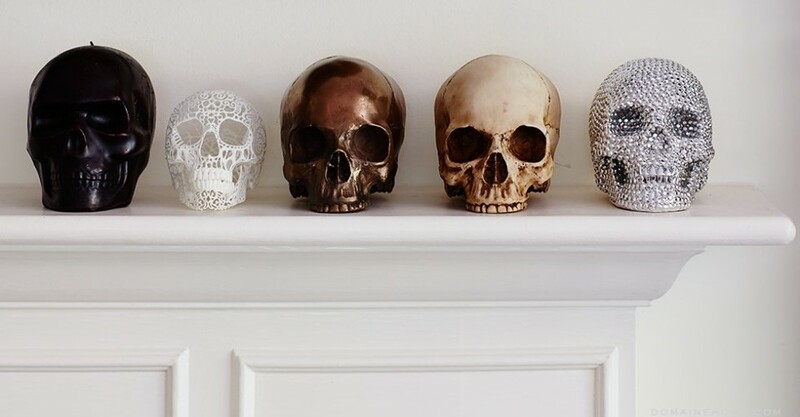 Skulls, Fornasetti, black matte, and Jonathan Adler are good places to start when you are thinking about adding a grown-up feel to your Halloween decor. Minimalistic when it comes to holiday decor. 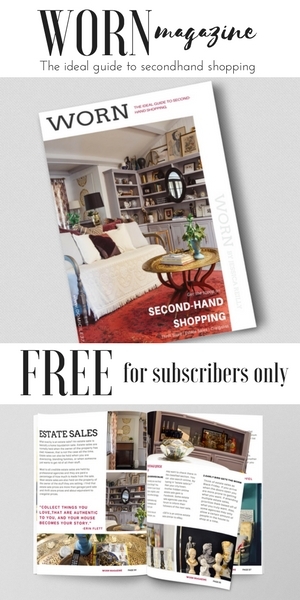 Buy one themed item and used them throughout your house. I find that reoccurring items with different finishes and textures can really pull a space together without going over the top. This is most certainly one of the most transitional Halloween settings ever. Mandy from Waiting on Martha is very much like me in terms of her thoughts on Halloween decor. 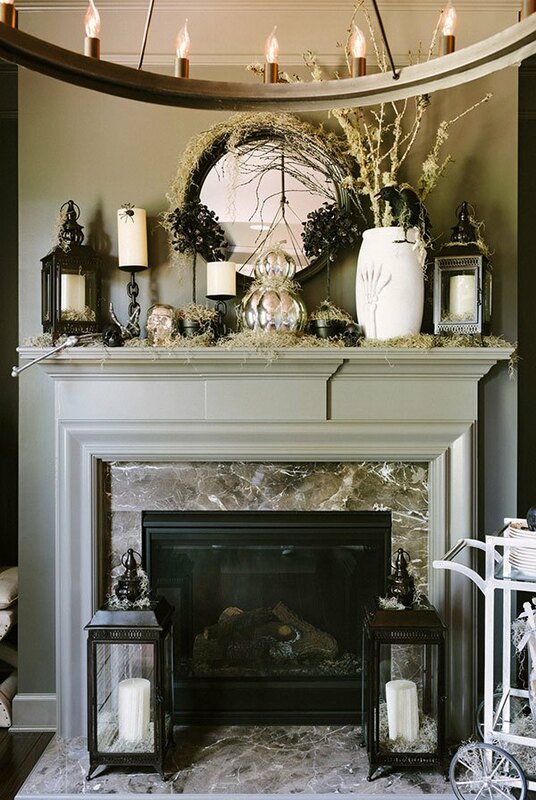 She does not like the kitschy Halloween decor so she blended metals, moss, and natural elements to create an understated Halloween setting. Old books, a melted down candle, and a skeleton head functioning as a vase…How cool and easy to replicate is this? 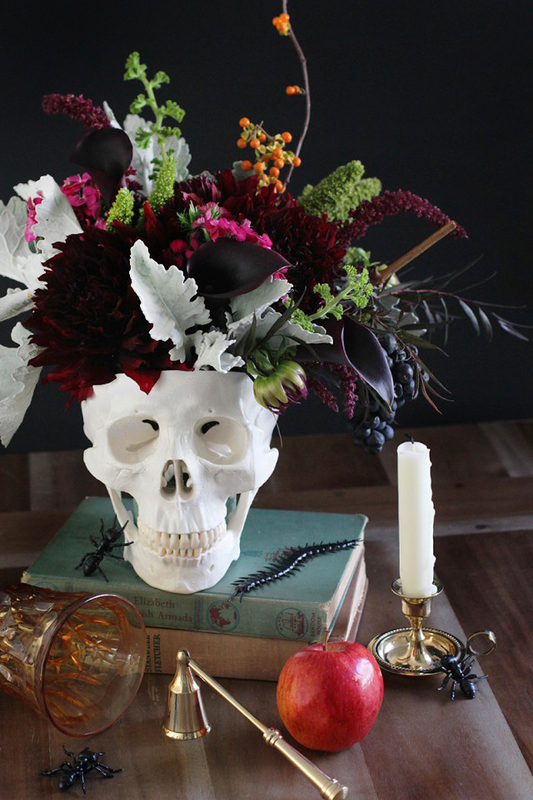 Check out Honestly Yum to see just how she created this beautifully chic skeleton head turned vase. 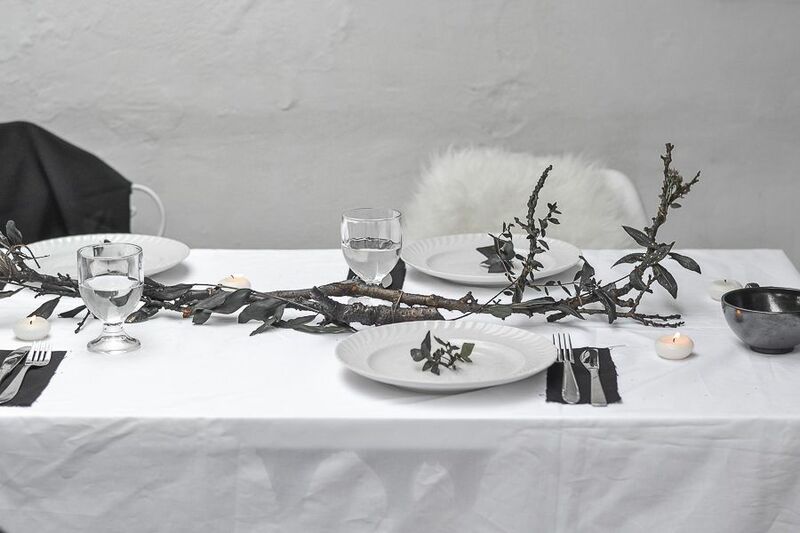 If you are on a budget you can still achieve the look of a grown-up sophisticated Halloween gloomsdale type of decor by using natural elements and spray painting them black, just like what Agata Dimmich from Passion Shake did with her Halloween inspired table setting. There is literally nothing much to creating something out of nothing. As long as you have an imagination, you are all set to go. Camille Styles definitely has Halloween sophistication down to the “T”. 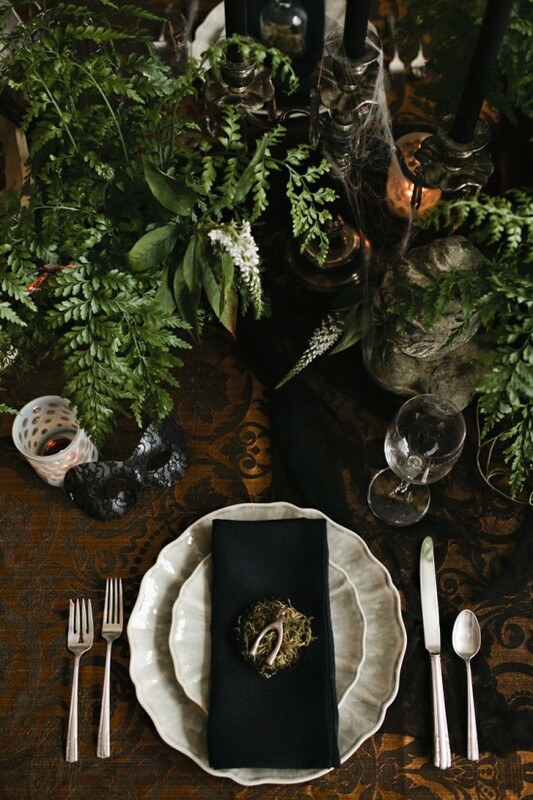 She created this Addams Family inspired table setting in the most luxe, eccentric Halloween setting that I have seen. 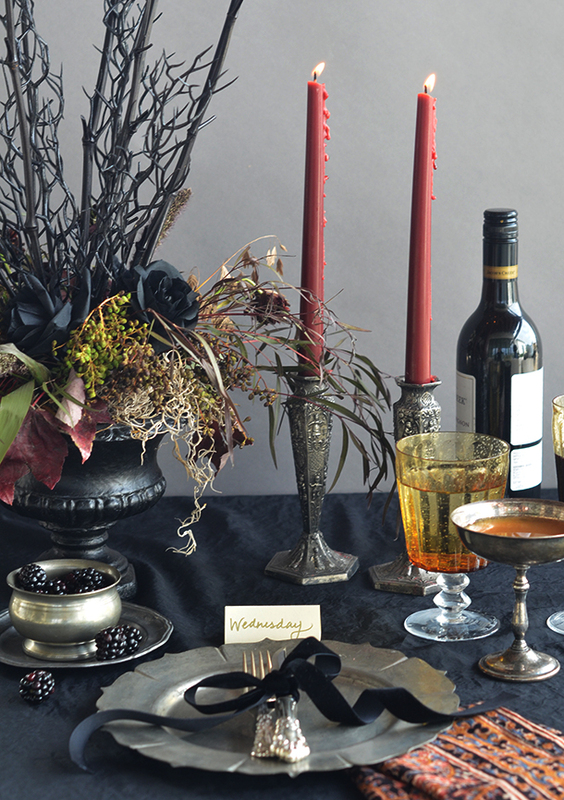 She definitely gave my Macabre Addams Family inspired table setting that I shared last Halloween a run for my money. Everything is so gaudy in the most metallic way ever. 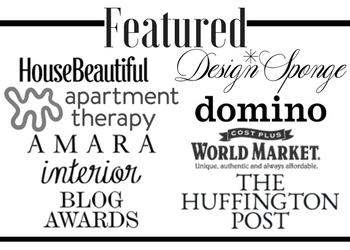 Swooning…. Thanks!!! It is funny, my kids seem to like the “grown-up” Halloween decor. I think they are use to it already. thank goodness! Nothing worse than crap all over the place! Hey Jessica, I have an attic full of great halloween stuff…love decorating for that holiday almost as much as for Christmas…it’s just so dang fun! You have put together a great list of ideas. No problem! I love Halloween and my collection will someday be more than a box. LOL! 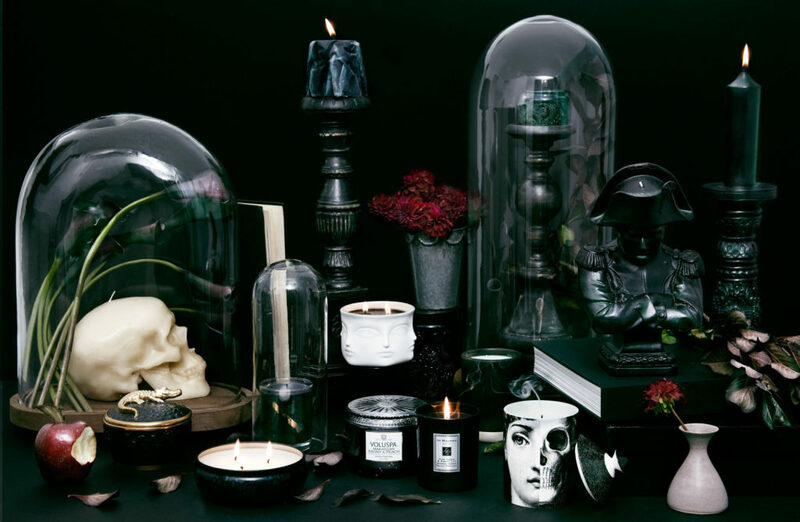 These are such fabulous Halloween inspirations! They are so rich and gorgeous and I so want to create this look. 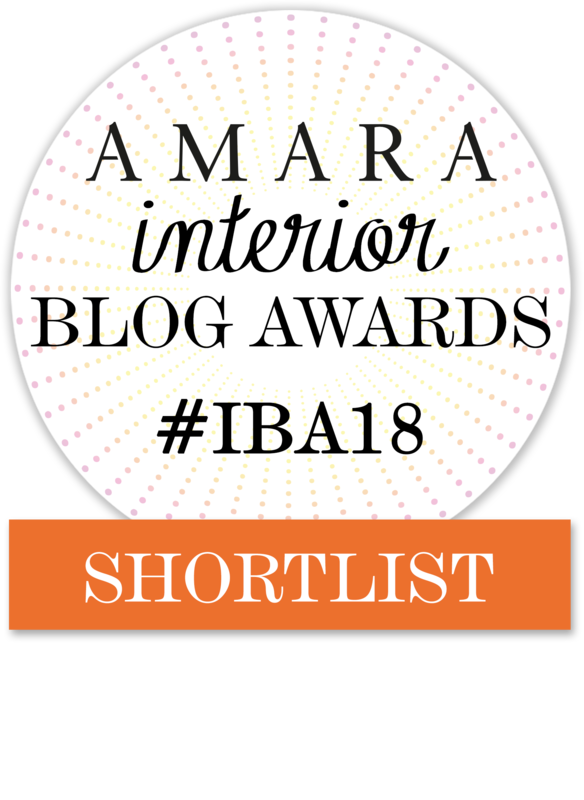 Lovely roundup of posts! 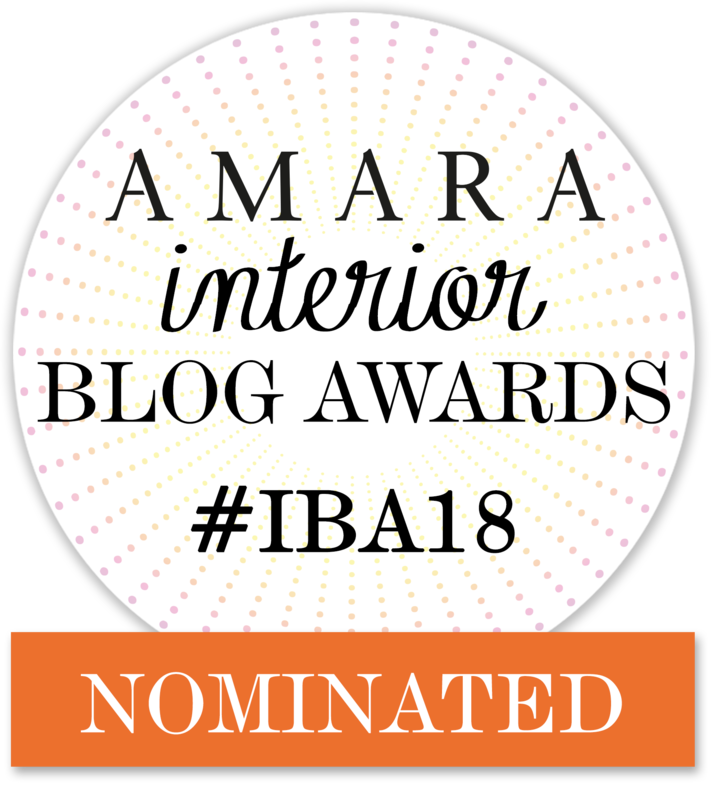 Such great ideas, not your typical orange black and white decor. Love it!